Chicago rocker Tom Fuller climbs to #8 on FMBQ AC charts with single "Only In America." 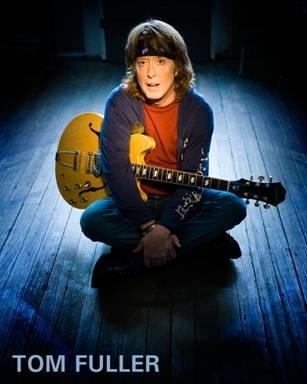 Chicago rocker Tom Fuller climbs to #8 on FMBQ AC charts with single “Only In America.” Fans of artists from Tom Petty to John Hiatt, Beatles to Oasis take note. It’s said that Chicago-based rocker Tom Fuller may be an Abstract Man, but that doesn’t mean he’s hard to understand. In fact, that precarious balance of the accessible and the esoteric is the very fuel on which his artistic engine runs. This duality is on full display on Fuller’s hit tune “Only In America” (MP3) which has ascended to the #8 position on FMBQ’s AC chart with 1000 spins for the week. 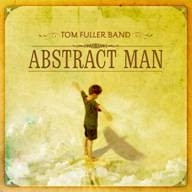 The Tom Fuller Band’s second album, Abstract Man issued by on Mesa/Blue Moon, is full of these kinds of tunes that put his pedal-to-the-metal, classic rock influenced riffs go toe to toe with his goosebump-inducing melodic hooks and his song-craftsman’s knack for lyrical narrative. Sometimes his messages are conveyed in bite-size chunks, sometimes with intriguing, poetic imagery that lets the listeners create their own interpretations. “I like writing thought-provoking lyrics that match the intensity of the music, to fit like a glove, in a timeless way.” The music of the Tom Fuller Band as we know it today started touching people with the release of 2005 debut album Chasing An Illusion. Fuller put the record together with the assistance of his sonic soulmate, producer Rick Chudacoff, who gave some valuable on-the-job training to the previously unrecorded artist. The Abstract Man that Fuller raised from its infant state with the help of Chudacoff and the multi-talented Christian Cullen, is a kaleidoscopic musical journey that exceeded any of its participants’ wildest imaginations. Those true-blue rock and roll values that Fuller has held close to his heart all along bear fruit in the form of everything from arena-size rock anthems to tough-but-tender portraits of everyday people’s inner lives. Listening closely to each facet as they shift and twirl, you can catch a wide variety of reflections. Besides some Fab Four touches, there’s a bit of everything from the stadium-stomping Britpop of Oasis to the saber-sharp roots-rock of John Hiatt, and the kind of heartland rock that conjures up Tom Petty’s finest moments. True to Fuller’s storytelling penchant, Abstract Man is full of resonant tales. “When I write a song, it takes on a life of its own,” he says. Those lives encompass a vivid world of love, loss, and redemption. In the end, the most resonant message the listener takes away is one of self-realization; the notion that people have the power to change their lives and define their world. Make no mistake, though, for all its weighty issues and philosophical concepts, Abstract Man is first and foremost a multi-hued explosion of sound. Every song on it will appeal to anyone who’s ever turned on a radio or thrown on a new album and had their life changed in three-and-a-half minutes.